You’ve put work and time into finding the right engagement ring, and are shopping for wedding bands for the two of you. While beauty and dazzle are always in play with engagement rings, deciding on your wedding rings may take a more practical turn. 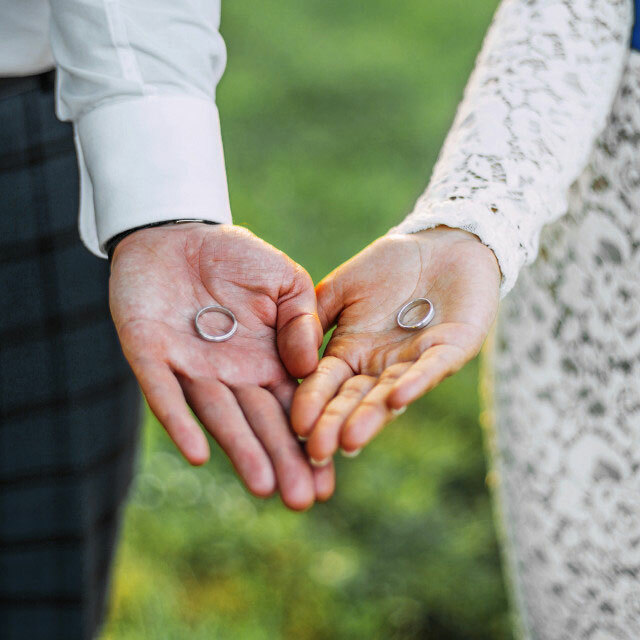 While many fully intend to wear their engagement rings every day, reality tends to get in the way — but you’ll both likely wear your wedding bands regularly. So it’s important that they fit and feel good. Any jeweler will professionally size your rings. 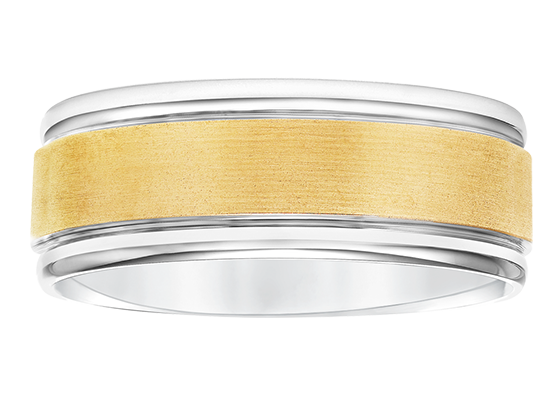 The classic wedding band is made of gold — 18K, 14K or 10K — in yellow or white, though rose gold is increasingly on the radar. Platinum is harder and heavier than gold, and more expensive, but has its fans. These metals are durable and can be resized. Alternative materials like titanium, tungsten carbide or ceramic can’t be resized. The width and the actual shape of the ring, and of your fingers — can have a surprising effect on how it sits on your finger, and how comfortable you find it. Classic rings have a straight interior edge, and it can cut or pinch some people’s fingers, especially if the ring is wide or thick. A wide band on a relatively short finger can cause it to dig in when you flex your hands or carry something. They can also be harder to fit over knuckles — and while you’ll wear your wedding band a lot, you will have to get it off and on occasionally. Other rings have more metal in the interior, allowing the outside edges to curve. 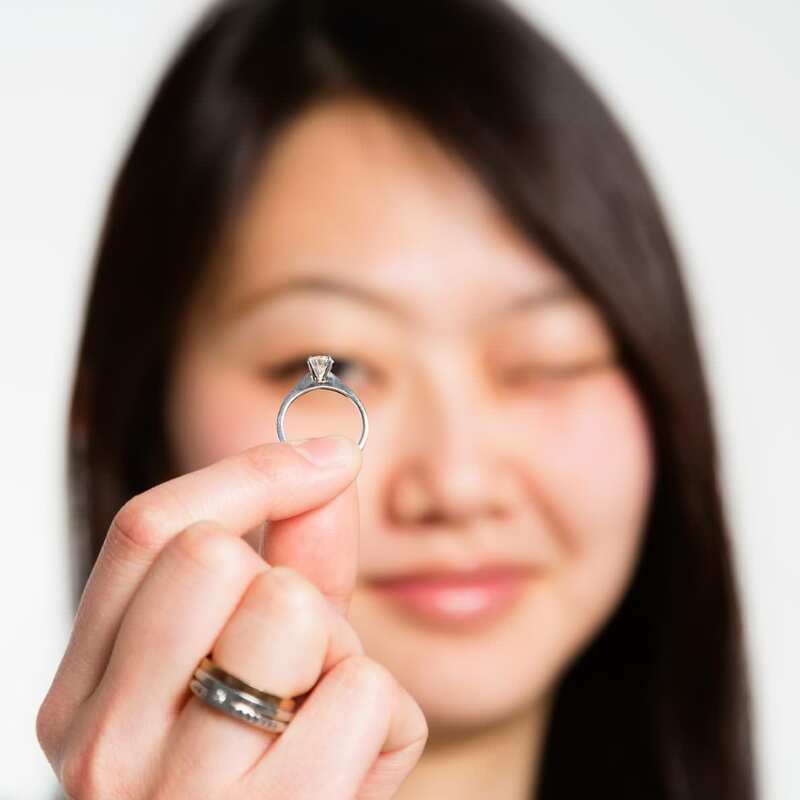 This is done to reduce the pressure points from the ring on your finger when it’s bent or holding something. Some of these rings are known as comfort-fit, but not all, so make sure to try on several different rings and types before deciding. Finally, there may be etched details on the edges of your ring, like milgrain. Some people’s fingers can be sensitive to even the slightest irritation. 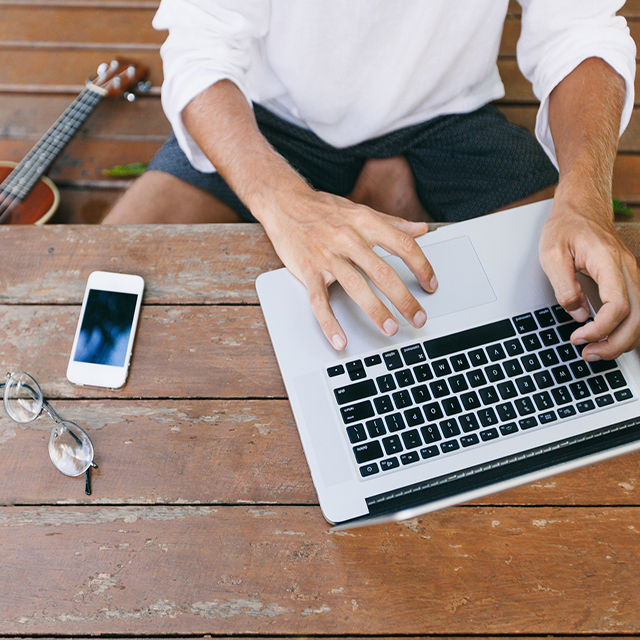 If that sounds familiar, opt for a smooth, polished edge. Take your time to make the right choice — after all, you’ll be wearing this symbol of your love for a long time! You can safely and securely buy the engagement ring of your dreams online — if you follow this advice. 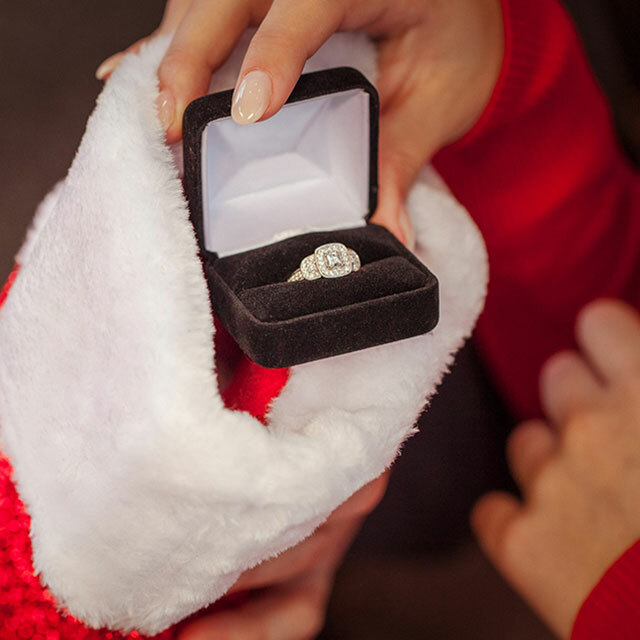 It’s the most wonderful time of the year for a lot of reasons — for many couples, it’s because they’re going to get engaged.